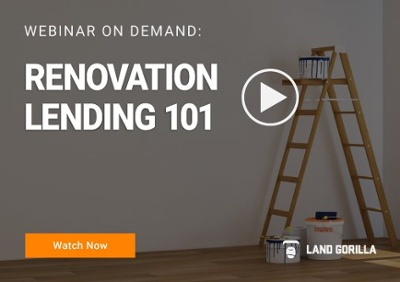 Successfully build a construction loan program from the ground up or scale your existing program without incurring fixed costs. Land Gorilla’s à la carte professional services are developed by industry experts who understand the risk associated with construction lending. Our experts are available upon request to support your business initiatives. Quickly scale services up or down to meet your changing business needs. Land Gorilla’s Construction Loan ManagerTM gives you access to over 11,000 professional fee inspectors nationwide. 98% of inspections are scheduled within 90 minutes. 95% of inspections are delivered within 3 hours. Over 11,000 professional inspectors available nationwide. Projects of any scale deserve a thorough analysis to enhance the underwriting process and ensure successful project execution. Let us examine the details so you can address the risks, structure better loans, and increase efficiency—before you break ground. Achieve uniformity, consistency, and obtain efficient scalability with customized underwriting services. The Land Gorilla construction underwriter subjectively analyzes construction related documents and costs, and compares them to the lender or client’s risk management policy regarding construction underwriting guidelines and acceptance. The Contractor Acceptance Report analyzes the builder questionnaire and the contractor supporting documentation to determine if a builder meets the lender’s minimum risk profile. Assign your loans to a dedicated Construction Loan Administrator for the life of the project. This administrator acts as a liaison between the lender, builder, borrower, and any third parties to ensure the project is managed in accordance with program guidelines, state statutes, and the lenders construction loan agreement. Land Gorilla’s Post-Closing Construction Loan Administration Service was created for lenders without backroom operations and those looking for additional support and resources. Our robust development program allows lenders of any size to build a construction lending program. On average, clients create loan programs 3 months faster with Land Gorilla consulting than independently in-house. Based on leading industry best practices, Land Gorilla provides clients the confidence to originate, underwrite, close and administer construction loans. Programs are developed by experienced industry professionals that understand the risk associated with construction lending. Loan program development provides a level of transparency into the risk associated with construction lending and adds exceptional value for lenders who want to maximize their time and resources while developing a construction loan program. Who is Consulting Ideal For? Ideal for Banks, Credit Unions, and Mortgage Bankers, our consulting services are designed to be a turnkey solution to aid in the development of new programs or assist established programs in reviewing controls that mitigate risk. This program is ideal for the construction lenders who wishes to protect their physical, financial, and legal interests in real property. Consulting services are available for both commercial and consumer loan types. Ready To Take Control Of Your Construction Loan Process?